Bitcoin has been in the news a lot lately. The prices were relatively steady for this “crypto currency” from 2014 through most of 2017 and then they started to spike in early 2018. This run up on Bitcoin was all over social media, and people were getting into investment fever. Plenty of people started buying Bitcoin without really understanding the underlying structure or value of this crypto currency. And some people found themselves victims of Bitcoin scams that have reemerged recently. Not all of the run up in the price of Bitcoin in January 2018 was a scam, but some of it almost certainly was. It seems that there is some new life being breathed into an old scam that seeks to take advantage of the human desire for quick results with what’s now known as the “Bitcoin pump and dump”. Pump and dumps have been around as long as the stock market has. A group of scam artists will get together and buy up a bunch of penny stocks. This drives the price of those stocks higher, and on the back of these rising prices they get outsiders to invest in the stock—using big promises of easy money. Then at a predetermined price, the scam artists sell off all of their shares of the stock. This, of course, causes the stock price tumble and the outside investors to lose almost all of their money—while the scam artists pocket the difference in the run up of the stock price. Unfortunately, new technology has made this Bitcoin pump and dump scam something that investors can fall for even if they would never fall for a traditional scheme like this. It’s a matter of an old scam being perpetrated in a new and unusual way that people aren’t prepared for. Often these schemes are promoted with the use of fake news stories and fake celebrity endorsements. And because digital technology is so good at seeming real—it’s not always easy to tell the real stuff from the fake stuff. If a person ends up getting caught up in this, it can lead to financial ruin—unless you know how to spot a scam and invest somewhere else instead. As with most scams, the best thing you can do is to stay informed. When you’re informed then you aren’t an easy target and the scam artists will usually move along to someone else. This particular scam has become such a big concern that the US government through the Commodity Futures Trading Commission branch has issued a guide that is designed to help investors be aware of the potential risks of crypto currency like Bitcoin. Avoid single tip purchasing: It’s best to avoid buying any kind of investment on a single tip. As an investor you should always do your due diligence and understand exactly what you’re investing in and the underlying structures of the company or currency. When you invest on a single tip—especially one that comes through social media- you are likely to get burned. If it sounds too good to be true probably is: There a lot of ads and websites that promise get rich quick schemes with Bitcoin and other crypto currency. Please stay away from these. While there are exceptions, the people that make the most on their investments are using a grow over time approach. People that tell you that you can earn tons of money in a short amount of time are often trying to manipulate you. Don’t join groups that are doing pump and dump trades: Manipulating markets is illegal, and most of the people in these schemes usually lose money. It can be tempting to get caught up in a scheme like this, but if you get caught you can face serious legal consequences. Run from people who tell you there’s no risk: Occasionally you come up with that with an unscrupulous investment advisor who tells you that there is no risk in a specific investment. This is completely untrue. All investments carry a risk of losing money, so if they’re telling you there is no risk then you want to run the other way and look for an advisor with a good grasp of investing fundamentals. 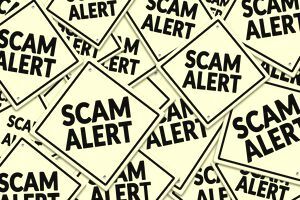 Wherever there’s an opportunity for scam there will always be a few unscrupulous people to take advantage of others. This is as true now as it’s ever been. And crypto currencies like Bitcoin seem especially exciting, so the potential for scams is pretty high. By knowing what the scam looks like, you can avoid Bitcoin pump and dumps and invest your money wisely so that you can get the best return on your hard-earned dollars. Blockstream: A Bitcoin Blockchain for Everyone?